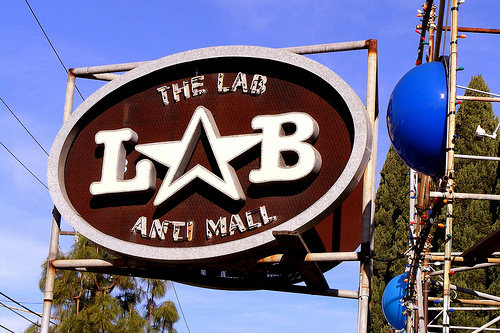 The LAB in Costa Mesa is known as Orange County’s renowned urban “The Anti-Mall”. The LAB, recycled from a night vision goggle factory, began its journey to combat retail monotony almost 20 years ago. The “LAB” stands for “Little American Business” and that’s what they are, and what they continue to support. In the midst of Orange County’s suburbia and perfectly planted palm trees, The LAB is a homey, indoor-outdoor hang out geared for the young at heart. With shops and restaurants not offered in every mall on every corner. Stores and restaurants located within The LAB include Urban Outfitters, Buffalo Exchange, and Habana Restaurant to name a few. Check out what events they have going on as well.